These free printable sentiments are ideal for adding to handmade cards and other projects. Each sentiment is in a separate file that you can download to your computer to resize if required before printing. The sentiments are in a png format with a transparent background which means they can be combined with other digital stamps and images if required. Printable sentiments are ideal for adding to handmade cards and scrapbook pages. While adding a rubber stamped sentiment or greeting can be the perfect finishing touch, sometimes you might not have the right sentiment rubber stamp to hand and a printed version can be quick and simple to do. Printable sentiments can be printed onto a colored piece of cardstock or paper and added to your project. Alternatively, print the sentiment onto white or light colored paper and use a colored ink pad or brightly colored marker pen to ink around the cut edge of the sentiment. This is a great way to ensure that the sentiment blends into your card and doesn't look as though it has been simply stuck to the front of the card with no forethought. This 'Thinking of You' printable sentiment is in an attractive classic script font and ideal for many projects. This 'thinking of you' sentiment is presented within a circular frame which makes it ideal for adding to projects as an embellishment. Use this simple 'thank you' sentiment to make thank you cards and other projects. Add this 'happy birthday' sentiment to make quick birthday cards. Leave the text plain or add color if you wish. 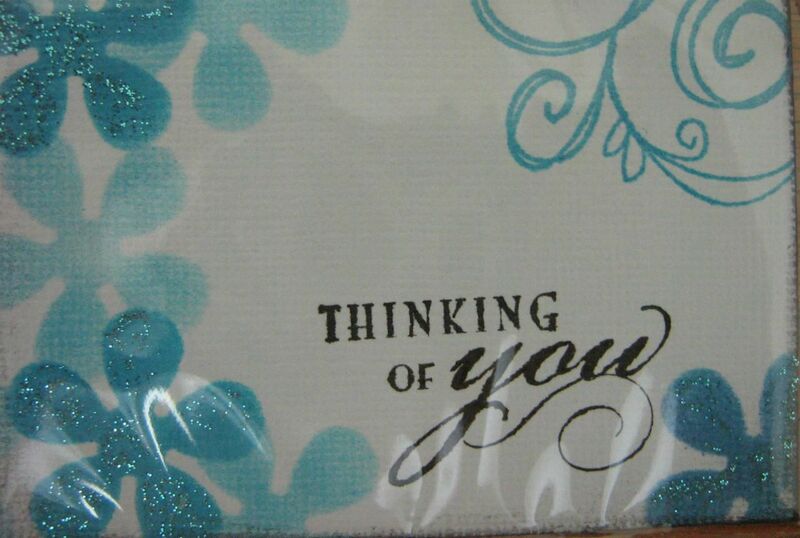 This is a versatile stamp that can be used for many occasions, particularly a get-well-soon card. Find a range of printable sentiments for birthdays. This is a selection of printable Father's Day sentiments. These are ideal for adding to Father's Day cards and gift tags. Find a selection of sentiments that are suitable for adding to graduation cards, scrapbook pages, and other graduation projects. These printable sentiments are ideal for adding to a handmade Mother's Day cards. The sentiments can be resized and make attractive small embellishments or larger card toppers. Printable sentiments are a quick and easy way to finish a handmade card or scrapbook page.